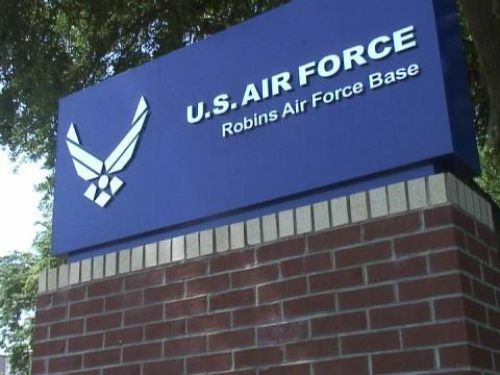 Robins Air Force Base officials say they're working with a federal agency and two unions to improve workplace safety. Base officials are scheduled to formally enter into the alliance Friday with the Occupational Safety and Health Administration, the American Federation of Government Employees (AFGE) Local 987 and the International Association of Firefighters (IAFF) Local F107. Base spokesman Roland Leach said the groups' goal is a safer and healthier workplace. According to AFGE union secretary, Eric Langston, this agreement formalizes a process that says OSHA, Robins and the union will work together to proactively look for issues before they become big problems. Union safety monitors will monitoring production issues. If they find problems in the future, the alliance says that all of the groups involved will work together to address the problems. Langston said the idea is "more proactive and less reactive." In 2010, OSHA issued 39 citations against Robins, most of them involving the use of cancer-causing chemicals in the aircraft-maintenance wings. Many of the alleged violations took place at Building 169, an aircraft repair shop. Base officials said they improved procedures and equipment to resolve the citations.